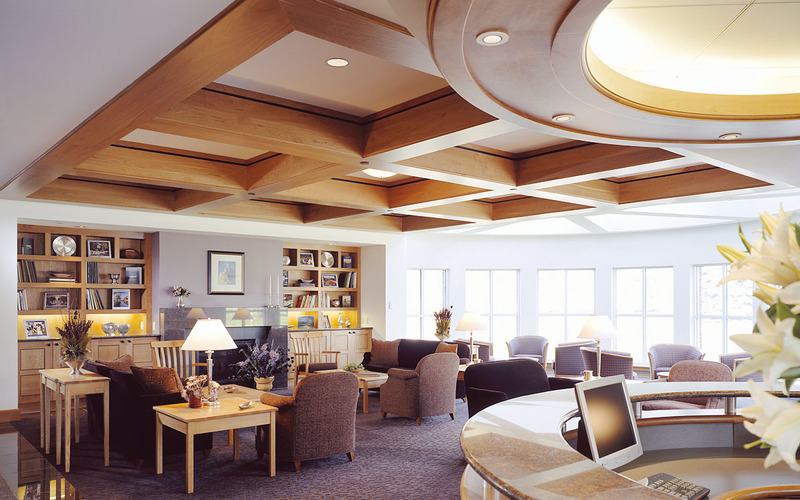 The 14,000 sq.ft. 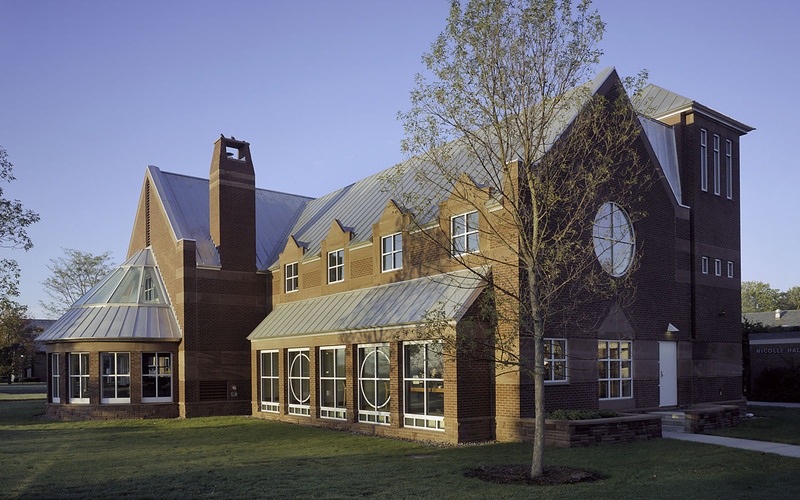 Hoehl Welcome Center houses the admissions department at St. Michael’s College. 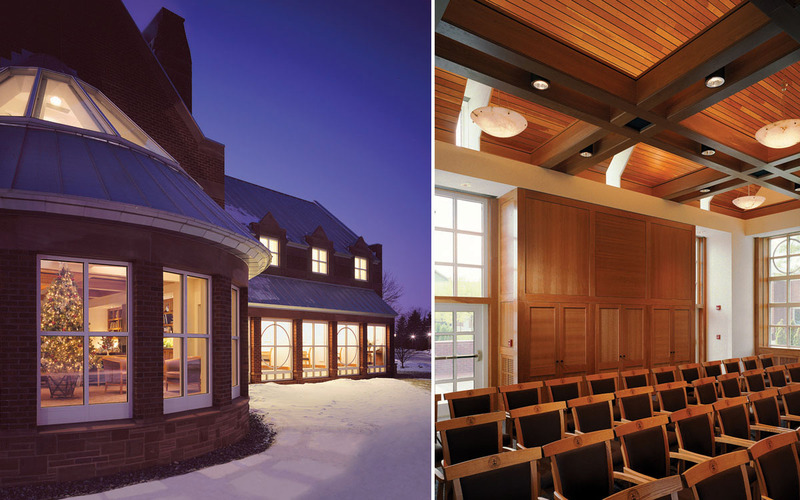 The new Welcome Center blends three key elements: the educational community, the campus’ Vermont location and the school’s rich Catholic history. 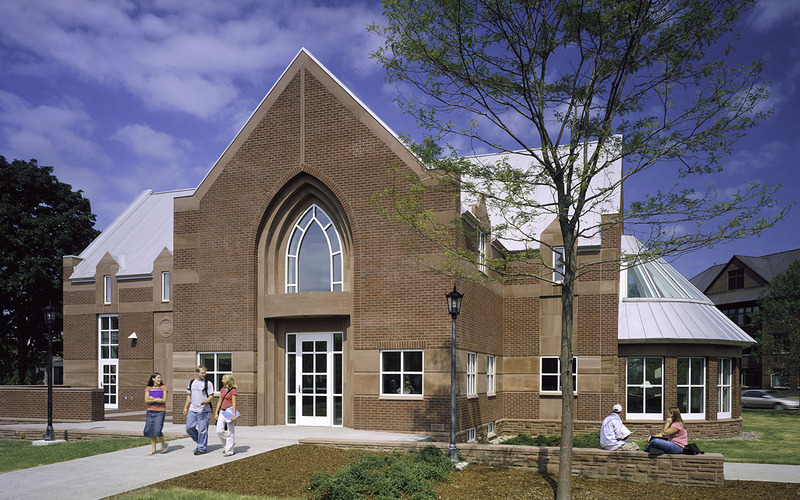 As such, the building capitalizes on spectacular views of the Green Mountains to the east, remains consistent with the existing architectural fabric of the campus and references the College’s Edmondite history.